Through Meet the Researcher, Hearing Health Foundation (HHF) aims to explain the Emerging Research Grants (ERG) and Ménière’s Disease Grants (MDG) projects in lay terms, as well as to show how the scientist became interested in science, and to reveal the person behind the research. Virginia Merrill Bloedel Hearing Research Center, University of Washington. Photo Credit: Jane G Photography. Baiduc received both her doctorate in communication sciences and disorders and her master’s degree in public health from Northwestern University in Illinois. She is an assistant professor in the department of speech, language, and hearing sciences at the University of Colorado Boulder. Baiduc’s 2018 Emerging Research Grant is supported by HHF’s Board of Directors as well as donors who designated their gifts to fund the most promising hearing research. Both hearing loss and cardiovascular disease (CVD) are prevalent chronic conditions, and the auditory system has a demonstrated vulnerability to cardiovascular-related diseases. Through the use of cost-effective, clinically available techniques in conjunction with epidemiological data, a greater understanding of CVD risk factors that contribute to hearing loss will be a key toward prevention, early identification, and treatment. I am also studying hearing outcomes in a Latino cohort of individuals who are classified as low- or high-risk for CVD. A natural next step was to craft a laboratory-based study in which I could explore more nuanced aspects of auditory health. I hope to eventually launch a larger-scale version using data from hundreds or thousands of participants along with sophisticated machine-learning approaches to better understand the relationship between heart health and hearing health. Being offered a tenure-track position was joyous for me. Since then, I’ve published papers, submitted grants, and worked with numerous mentees. I have the honor of training the next generation of clinicians, teaching them to consider the entire patient and how overall health affects the delicate inner ear. I spent a great deal of time in my father’s veterinary clinic and was inspired by his sense of curiosity and problem solving. Had I not become a scientist, I might have gone to a music conservatory and tried to thrive as a professional musician. I played clarinet in ensembles from middle school throughout graduate school. I am also a vegan and was a fitness instructor for about 10 years. My father’s declining hearing loss over the years has allowed me to witness the psychosocial effects on our family. My research focuses on factors that exaggerate or accelerate age-related hearing loss. Understanding who is at risk is paramount for prevention and public health outreach. To relax and spend time outdoors, I ride my horse Gandalf. We train together and compete in shows in jumping events. Sometimes while we are riding against the backdrop of the beautiful Rocky Mountains, I find myself thinking of new ideas for studies or ways to increase enrollment in my current studies. Inspiration can strike at any time! Rachael R. Baiduc, Ph.D., MPH’s grant was generously supported by HHF’s Board of Directors as well as donors who designated their gifts to fund the most promising hearing research. Click to download a PDF of Dr. Baiduc's Meet the Researcher profile. Balmer received his Ph.D. in neuroscience from Georgia State University and is now a postdoctoral fellow at Oregon Hearing Research Center at Oregon Health & Science University. A 2017 Emerging Research Grants scientist, Balmer received the Les Paul Foundation Award for Tinnitus Research. Tinnitus may be caused by persistent cellular activity that leads to the false perception of a sound. My work focuses on understanding a type of neuron (nerve cell) in the auditory system that may underlie this activity. Neurons send signals through neurotransmitters that travel across synapses, from a neuron’s axons to another’s dendrites. The cell type I am focusing on has a unique, single paintbrush-like dendrite, described in its name, the “unipolar brush cell.” This cell is found in the cochlear nucleus, the part of the brain linked by the auditory nerve to the inner ear. The dendritic brush of these cells slows the neurotransmitters from leaving the synapse—they linger at these synapses. Using physiological recording techniques, we found that this leads to persistent excitatory activity, and we reasoned this may lead to tinnitus. Unipolar brush cells have only recently been defined as a distinct cell type—most cell types were defined over 100 years ago. I am researching how they regulate their persistent activity and what signals they receive and process. works by looking at its component parts. From an early age I understood that taking things apart and putting them back together is an effective way to learn how they work. In high school I spent a lot of time rebuilding and modifying cars and engines, giving me experience in design and engineering that I use as a researcher. Moreover, troubleshooting an engine that won’t start is an implicit lesson in problem solving and the use of the scientific method. It starts with an observation (the engine won’t start), which leads to a hypothesis about the cause (there is no spark at the spark plugs) and testable predictions (if I can make them spark, the engine will start). I have tinnitus myself. It is impossible to be certain what caused it, but my guess is that frequent use of power tools without hearing protection may have caused damage. I still work on cars (using hearing protection!) and am restoring a 1969 MGB that I’ve been tinkering with since college. I also repair and modify mechanical watch movements, focusing on those worn by U.S. service members, including a Rolex that kept time on the wrist of a close friend during the Korean War, and an Elgin worn by a pilot in World War II. I also keep active by cycling to and from the lab, totaling over 1,000 miles a year. Timothy Balmer, Ph.D., received the Les Paul Foundation Award for Tinnitus Research. We thank the Les Paul Foundation for its support of innovative research that will increase our understanding of the mechanisms, causes, diagnosis, and treatment of tinnitus. Click to download a PDF of Dr. Balmer's Meet the Researcher profile. Banakis Hartl received her doctorate degree in audiology and her medical degree from Northwestern University, Illinois, and is a resident in the department of otolaryngology at the University of Colorado Denver. Her 2017 Emerging Research Grant is generously supported by HHF’s Board of Directors as well as supporters who designated their gifts to fund the most promising hearing research. There is a growing clinical interest in the use of cochlear implants (CIs) to treat single-sided deafness, in which patients have typical hearing in one ear and a profound hearing loss in the other. Historically, it was thought that implants should only be used in patients with profound hearing loss in both ears due to the concern that the brain would have difficulty simultaneously interpreting electrical stimulation from a CI and from normal acoustic input. This project looks at how using a single CI alters hearing pathways in the auditory brainstem, with the long-term goal of determining who may be more likely to benefit from implantation. As a teen, I volunteered for 10 years at a summer camp where I worked with children who were deaf on their speech and language therapy goals. I thought I would be a teacher of the deaf or a speech therapist, but I was drawn to audiology and eventually medicine. I am the first medical doctor and researcher in my family. I never thought that I was smart enough to pursue a career in science. Even through college into graduate school, I believed that people who went into medicine or research were brilliant and I didn’t have the mental capacity. But I persistently pursued my interests and have found that hard work and determination can be more important. While in training, my interest in the otologic management of hearing loss was solidified when I helped my 91-year-old grandmother get a cochlear implant. The intervention changed her life and I have no doubt that it dramatically improved the quality of the last years of her life. In the past year, I have had the fortunate opportunity to travel to many national and international scientific and clinical meetings to present across a variety of research interests, even winning an award from the American Otologic Society. This has reinforced my interest in the otologic management of hearing loss. I am an avid runner. I try my best to get some running in every day, and on the weekends you can usually find me with my family or running a half marathon. I also hope to get back into swing dancing, a passion I had in college. Renee Banakis Hartl, M.D., Au.D.’s grant was supported by HHF’s Board of Directors as well as supporters who designated their gifts to fund the most promising hearing research. Click to download a PDF of Dr. Banakis Hartl's Meet the Researcher profile. Bochner studied language and audition at the University of Wisconsin, from where he received his Ph.D. He is a professor and department chair at the National Technical Institute for the Deaf at the Rochester Institute of Technology. Bochner’s 2017 Emerging Research Grant is generously funded by the General Grand Chapter Royal Arch Masons International. I’ve worked with young adults who have a hearing loss since 1974, when I started my career at the National Technical Institute for the Deaf (NTID). I’ve observed how hearing loss occurring before child acquires language (being prelingually deaf) affects later development of language and literacy skills—even when they receive amplification devices at an early age. These effects occur because of the interaction between auditory experience and neurocognitive development. My research will look at the role prelingual hearing loss has on the development of auditory “categories.” I will examine how individuals who are prelingually deaf and who hear with cochlear implants categorize speech sounds. This will improve our understanding of speech perception and how auditory deprivation affects central auditory processing. Ultimately, the research may point to interventions such as auditory training to improve the development of language and literacy in individuals with hearing loss, as well as provide insights into the relationship between early auditory experience and central auditory processing. Growing up, I had an aptitude for math but became interested in the study of literature. I particularly enjoyed classical Greek plays, Shakespeare, and modern poetry. This interest evolved into the study of language and linguistics when I was an undergraduate and, as a graduate student, applied linguistics. Linguistics is a discipline based to some extent on theories of language. In contrast, applied linguistics involves the application of linguistics to language teaching and learning, among other things. Eventually I began exploring language and deafness, as well as the more broadly defined language sciences. My background in applied linguistics, specifically English as a second language, was integral for teaching English to young adults with hearing loss. I enjoy my downtime doing family activities and watching sports. I used to play a lot of basketball and some baseball. Now I really enjoy following football, baseball, basketball (especially the NCAA), and ice hockey. Successful collaboration with colleagues is something I value a great deal. While working on a recent paper about adult learners of American Sign Language, a colleague showed me how statistical analysis could be used to interpret and confirm our data. It was a nice way to obtain objective evidence and generate deeper insights. Joseph H. Bochner, Ph.D.’s grant is generously funded by the General Grand Chapter Royal Arch Masons International. We want to thank the Royal Arch Masons for their ongoing commitment to research in the area of central auditory processing disorders. Click to download a PDF of Dr. Bochner's Meet the Researcher profile. Bonino earned her Ph.D. in hearing science at the University of North Carolina at Chapel Hill, where she also did postdoctoral work. She is now an assistant professor in the department of speech, language, and hearing sciences at the University of Colorado Boulder. Bonino’s 2017 ERG grant is generously funded by the General Grand Chapter Royal Arch Masons International. I always say that I have the best job—I get paid to ask interesting questions. Having this level of independence, creativity, and flexibility in my work allows me to better serve children with hearing loss through my research. reliable behavioral method for measuring speech perception in noise for toddlers and preschoolers, to better understand auditory development, the effects of hearing loss, and the potential underpinnings of auditory processing disorders. I was first exposed to real experimental science for my seventh-grade science fair. For my project, I attempted to grow tomatoes and beans using hydroponics, that is, with nutrients but without soil. It was a complete failure. Despite never successfully growing any plants, I learned about controlled experiments and the importance of persistence, an important lesson. The effects of hearing loss on child development was something I became interested in through my undergraduate studies of language development and cognition at the University of Rochester. As a graduate student in audiology at Vanderbilt University, I quickly realized the importance of research in guiding clinical practice. And then as a practicing educational audiologist, I saw how little of a research base there was for many of the clinical decisions I was making. Ultimately, these experiences led me to become a researcher. As a mother of three young children, I spend most of my time outside of working chasing children... and folding laundry. I am slightly obsessed with car seats for infants and children and ensuring that they are installed correctly. The National Highway Traffic Safety Administration estimates that nearly half of car seats are incorrectly installed, increasing the risk of injury. So I try to tell every parent I know: Make an appointment at your local fire station to have your child’s car seat checked—it’s free! It is my goal that my research and teaching improves the lives of children with hearing loss and their families. Every day I also have the privilege of working with students who will be the next generation of clinicians. I hope that when they leave our program they will be lifelong learners who critically question and incorporate research into their clinical practice while being sensitive and empathic professionals. Angela Yarnell Bonino, Ph.D.’s grant is generously funded by the General Grand Chapter Royal Arch Masons International. We want to thank the Royal Arch Masons for their ongoing commitment to research in the area of central auditory processing disorders. Click to download a PDF of Dr. Bonino's Meet the Researcher profile. a new concept of surround audio systems, and implemented biology-inspired algorithms for sound-quality evaluations. My postdoctoral adviser, Barbara Shinn-Cunningham, showed me how to recognize the beauty of mathematical models that explain biological systems in straightforward, elegant ways. Diaz-Horta received his doctorate in biomedical sciences from the University of Havana, Cuba, and completed postdoctoral research at the University of Miami, where he is now an assistant scientist in the department of human genetics. Diaz-Horta is a 2017 Emerging Research Grants recipient funded by The Children’s Hearing Institute. Despite great advances in modern science, the molecular mechanisms of hearing and cochlear development still remain to be elucidated. My research consists of detecting and characterizing genes that, when mutated, cause hearing loss. Over the past six years, our team has discovered multiple deafness-related genes, including mutations in FAM65B. After publishing its initial characterization, we are now determining the mechanism by which the defective gene can influence optimal hearing. My father is a physician who is specialized in endocrinology. He graduated from medical school in Havana in the late ’60s. In the ’70s, he received additional training in universities in England and West Germany. He was very interested in research and explicitly wanted me to become a scientist. physics effectively conveyed to me the concepts of cause and effect and that by changing variables you can obtain different outcomes in a particular system. I like creating tools or objects that help to make things easier at work and in life. I designed a device to simultaneously open and close multiple laboratory tubes that I then asked my father-in-law to build. The working prototype now in my lab has saved lots of time and effort when I perform molecular biology experiments. A major career highlight so far has been to be part of the discovery and characterization of a deafness gene called ROR1. When mutated, this gene causes hearing loss due to a defective innervation of auditory hair cells. The discovery was not mere serendipity—it was the result of performing genome sequencing in families with deafness. I have undergone training at institutions in Europe, including two years each in Italy and Belgium, so besides incorporating Italian and French to my spoken languages, I also learned to cook foods from these two countries. My spouse, who is English, tells me how impressed she is about the diversity of dishes I have prepared over the course of our six-year relationship. Oscar Diaz-Horta, Ph.D.’s grant is funded by HHF partner The Children’s Hearing Institute (CHI). We thank CHI for its generous support of innovative research focused on congenital and acquired childhood hearing loss and its causes, assessment, diagnosis, and treatment. Click to download a PDF of Dr. Diaz-Horta's Meet the Researcher profile. Jones received her clinical doctorate in audiology and her doctorate of philosophy in audiology both from the University of South Alabama. She is an assistant professor in the department of communication disorders at Auburn University in Alabama. Jones’s 2018 Emerging Research Grant is generously funded by the General Grand Chapter Royal Arch Masons International. My daughter, who turns 7 this year, was born at 29 weeks. A lot of the research I read on preterm births while she was in the NICU indicated children born prematurely were more at risk for learning disorders, including issues with auditory processing. After she came home from the NICU, I didn’t really think about it that much until I began seeing many kids clinically for auditory processing evaluations who had a premature birth history. I had also begun seeing auditory processing issues in my daughter (who does not use hearing devices). I created a pilot study to explore the effects of preterm birth on hearing, which led to this current project. The overall goal is to determine if there are significant differences in auditory processing, language, and cognition skills among adolescents with a preterm birth history compared with those born at full term. Once patterns of deficits are identified, we can work toward treatments. Eventually I hope to design an early intervention program to prevent long-term effects of prematurity on the auditory system. In college I was the sports mascot—Miss Pawla, a jaguar. We didn’t have a football team at the time so I performed (in a hot costume!) at basketball games for both the men’s and women’s teams. I saw the flier for tryouts and it just spoke to me. I am actually an introvert so I surprised everyone by doing it—it was my alter ego! Alisha Lambeth Jones, Au.D., Ph.D.’s grant is generously funded by the General Grand Chapter Royal Arch Masons International. We want to thank the Royal Arch Masons for their ongoing commitment to research in the area of central auditory processing disorder (CAPD). Click to download a PDF of Dr. Jones's Meet the Researcher profile. Jung received his medical degree and his doctorate in genetics from Harvard Medical School, where he is now an assistant professor of otolaryngology. He is also an attending surgeon at Massachusetts Eye and Ear. Jung’s 2018 Emerging Research Grant is generously supported by Hearing Health Foundation donors who designated their gifts to fund tinnitus research. Inner ear sensory hair cells detect sound vibrations and pass them to inner ear neurons (nerve cells), which send these signals to the brain. The synaptic connections between hair cells and neurons can be lost due to noise exposure, aging, or both. Recently, it’s been shown that the loss of these synaptic connections results in “hidden” hearing loss and may also be associated with tinnitus (ringing in the ears) and hyperacusis (loudness intolerance). To reestablish lost synaptic connections, we have developed a novel way to anchor special molecules that promote synaptic regeneration into the bone of the inner ear, in order to maximize the stimulation of inner ear neurons. In addition to new therapies for hearing loss, tinnitus, and hyperacusis, a parallel goal is to better understand how hearing loss occurs and to identify ways to prevent it. The patients I meet in the clinic remind me of the need for hearing restoration therapies. This is what fuels my research, every day. In addition, I’ve had loud tinnitus in both ears with an unknown cause for as long as I can remember. While it’s not terribly bothersome, I have a personal stake in moving this research forward. I hope to continue caring for patients and working toward novel therapies for hearing loss and other hearing disorders. I played violin for many years through college and grew up with classical music. In my spare time I enjoy attending concerts, including the Boston Symphony Orchestra. The arts scene here in Boston spoils us, with the BSO one of its crown jewels. My father is also a surgeon-scientist, and one of my earliest memories is tagging along with him on weekends when he was checking in on his chinchillas in the University of Minnesota animal facility. At the time, he was doing research on inflammatory molecules and their effect on the inner ear and hearing, and he still does research and runs a busy surgical practice. The chocolate milk he bought on these trips probably also helped stimulate my early interest in science. David Jung, M.D., Ph.D.’s grant is generously supported by Hearing Health Foundation donors who designated their gifts to fund tinnitus research. Click to download a PDF of Dr. Jung's Meet the Researcher profile. Luu received her medical degree at the University of Tübingen, Germany, followed by a doctoral degree in medicine from Tübingen Hearing Research Center. 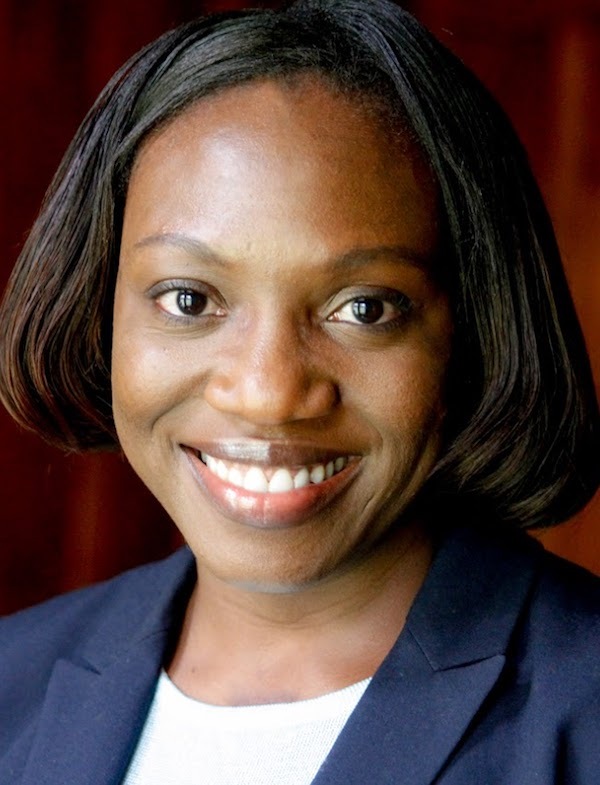 She is a postdoctoral fellow at Eaton Peabody Laboratory at Massachusetts Eye and Ear, Harvard Medical School. Luu’s 2017 Emerging Research Grant is generously funded by The Estate of Howard F. Schum. Ménière’s disease is an inner ear and balance disorder currently diagnosed according to patient symptom reports that vary and may mimic other hearing and balance diseases. ear to the skull and which has a strikingly different structure in Ménière’s patients. Our precise technique may reduce the time it takes to finalize a Ménière’s diagnosis. chemicals. I conducted research and wrote my first small research thesis about making homemade acetaminophen and using infrared spectroscopy to test its purity. It was after my first mouse ear dissection that I decided I wanted to research the ear, nose, and throat. I was fascinated by the shape and size of the inner ear and the ossicles (bones) of the middle ear, especially the stapes, the tiny bones that resemble the stirrups of a saddle. I also saw there’s no better way to impact patient care than by aiming for a significant contribution through science and research. I cook to unwind. Everything related to preparing meals is relaxing to me: food shopping, researching international ingredients, composing creative meals from limited seasonal offerings, and finally making even picky eaters happy. Strolling through supermarkets was always the first thing I did after exams in medical school. I also enjoy snowboarding, writing, art, and playing the piano. Finding colleagues who are not only passionate about their work but also trustworthy, collaborative, and enthusiastic makes me so thankful. I hope to one day lead my own inner ear research group while remaining a practicing clinician as well as a wife and mother. This means I will keep working hard on essential skills in work, life, and sleep management! 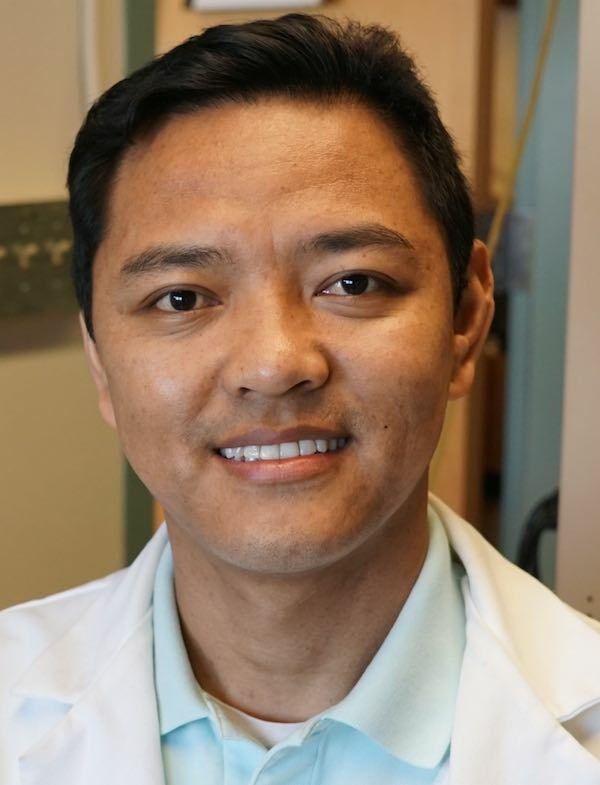 Ngoc-Nhi Luu, M.D., Dr. Med.’s grant is generously funded by The Estate of Howard F. Schum, and was awarded for innovative research that will increase our understanding of the inner ear and balance disorder Ménière’s disease. Click to download a PDF of Dr. Luu's Meet the Researcher profile. 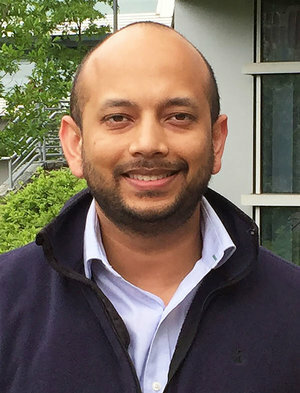 Manohar received his doctorate in stress physiology from Madras University, India, and is a postdoctoral fellow at SUNY Buffalo in the Center for Hearing and Deafness. Manohar’s 2017 Emerging Research Grant is funded by Hyperacusis Research Ltd. The goal of my research at the University at Buffalo’s Center for Hearing and Deafness is to find a cure for hyperacusis, a condition that causes a reduced tolerance to everyday sound levels. Patients with hyperacusis have a low threshold for pain, which may be explained by a heightened central pain mechanism. My research team is studying the gene and protein expression of various brain regions involved in processing auditory information and producing pain. Using a rat model, we are assessing noise-induced pain levels by using novel behavioral tests. We then analyze the gene and protein expression in the rats’ brains and correlate certain genes or proteins (biomarkers) to noise-induced pain. Identification of these biomarkers is a first step for developing treatment and earlier diagnosis of hyperacusis. One new behavioral test I developed for the rats is the active sound avoidance paradigm. It is based on two known, innate rat behaviors: They avoid a place if it is too noisy or too bright. To do the test, we measure the time the rat spends in a dark box during a variety of amplified sounds. If it spends less time in the dark box with a moderate sound (not usually too loud for a typical rat), then it may have a noise-induced aversion to moderate sound—a symptom of hyperacusis. solve problems using a multidisciplinary approach. Oddly, my interest in biochemistry came from my mother’s cooking, in a small village in India. She used a lot of spices in her food preparation, and as a child I always wondered how each spice influenced my taste and perception in general. I asked my mom all about the spices and why she chose to add them to our food. My curiosity for small molecules affecting perception has not faded since. I still value cooking and family. My favorite things to do outside of work are to cook and to play with my kids. Both knowledge and practice in the lab is, I believe, the source for new inventions and hearing therapies. I feel the most rewarded when my results are confirmed or reproduced by other researchers. In the future, I hope to oversee my own auditory research lab and continue to make new findings to ultimately help those with hyperacusis. 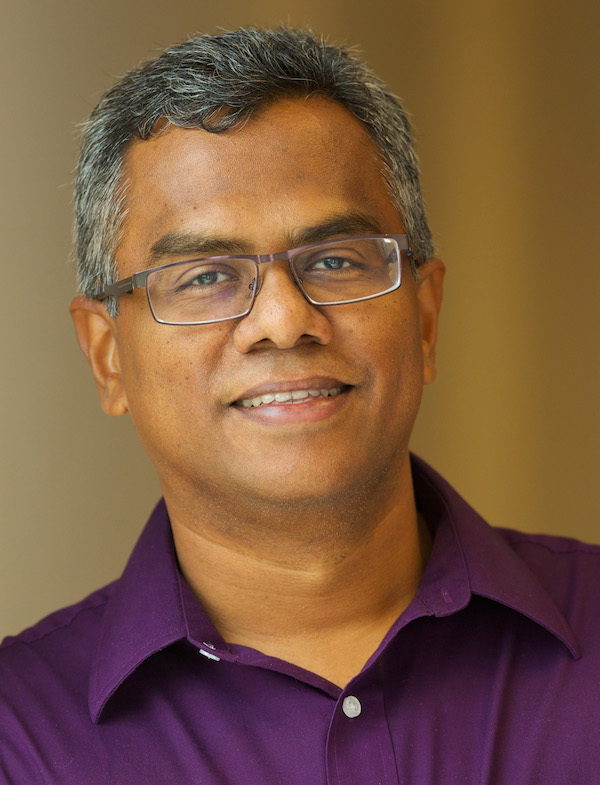 Senthilvelan Manohar, Ph.D.’s grant is funded by Hyperacusis Research Ltd. We thank Hyperacusis Research for its support of studies that will increase our understanding of the mechanisms, causes, diagnosis, and treatments of hyperacusis and severe forms of loudness intolerance. Click to download a PDF of Dr. Manohar's Meet the Researcher profile. Morgan received his doctorate in biochemistry from University College London, where he also completed postdoctoral research and at the U.K.’s University of Manchester. He is a senior research associate at Oregon Health & Science University. His 2017 Emerging Research Grant is supported by donors who designated gifts to Hearing Health Foundation (HHF) to fund Usher syndrome research, and by the board of HHF. molecules directly responsible for monitoring movement of the hair bundles are located at the very tips of the projections. By identifying all of the molecules present, and determining how they associate, we should be able to model the fully assembled mechanosensitive apparatus, or how sound is converted to electrical signals. Ultimately we aim to perform structural studies to better understand, at a mechanistic level, why people with Usher syndrome are deaf and why blindness is delayed. We also want to learn how in healthy individuals the ear is able to discern specific sounds in a sea of noise. This is because it could be that some Usher mutations make the hair bundle more sensitive to noise-induced damage. There is evidence in mice that mutations in one particular Usher gene, USH1C, result in hair bundles that are less sensitive to mechanical stimulation. As a child I always watched science shows on British TV—“Horizon” and “Tomorrow’s World”—and I read New Scientist and Scientific American. The first scientist in the family, I was inspired by my high school chemistry and biology teachers, who introduced me to the British Science Association. Through the group I was able to visit the University of Oxford to attend the yearly British Science Festival. I saw demonstrations of some of the first high-temperature superconductors, sat on a Cray supercomputer the size of a hippo, and watched detectors being built for the European particle accelerator. All made deep impressions on me on the power of science, research, and technology. I value high-quality data and am respectful of hard work and determination and of research that pushes our knowledge forward. I personally try to adhere to these values. I think this is an exciting time for hearing research, and that our understanding is rapidly improving. Clive Morgan, Ph.D.’s grant was generously supported by donors who designated gifts to Hearing Health Foundation (HHF) to fund Usher syndrome research, and by the board of HHF. We thank these donors for funding research to improve the understanding of Usher syndrome. Click to download a PDF of Dr. Morgan's Meet the Researcher profile. Ngodup earned his Ph.D. in neuroscience from the State University of New York at Buffalo and is now a postdoctoral fellow at Oregon Hearing Research Center, Oregon Health & Science University. A 2018 Emerging Research Grants scientist, Ngodup received the Les Paul Foundation Award for Tinnitus Research. Neuron (nerve cell) hyperactivity is believed to lead to tinnitus, or experiencing ringing or buzzing in the ears without an external sound source. While many studies on hyperactivity have focused on the dorsal cochlear nucleus, an auditory processing region in the brainstem, very little attention has been given to the ventral cochlear nucleus (VCN). This is surprising since the VCN is home to neurons that receive direct inputs from auditory nerve fibers, and the majority of VCN neurons convey excitatory (stimulating) signals to higher auditory regions. One of the likely causes of hyperactivity is an imbalance between excitatory and inhibitory (dampening) neuronal connections, or synapses. However, so far only a single inhibitory cell type, called D-Stellate, has been identified in the VCN. With the use of genetically modified mice, we now see that the diversity of inhibitory cell types and connections in the VCN is far richer than previously described. The quantification of all inhibitory neurons in the VCN can be used to examine inhibition in typical vs. tinnitus models, especially after noise exposure. We want to understand how a loss of inhibition (less dampening) could lead to the hyperactivity associated with tinnitus in order to help prevent and treat tinnitus. As a Tibetan, officially I am stateless, but I was born and raised in India. I have always been interested in science, biology in particular. I am fascinated by how very complicated and different organ systems in our body work together so efficiently. Science classes were especially fun-filled with hands-on learning through field trips and lab experiments, an active and highly engaging style of teaching that had a profound impact on my interest in science. If I were not a researcher, I would be a science teacher. Actually, after earning my bachelor’s degree in biology and education, I taught biology to Tibetan monks in a Tibetan Buddhist monastic school in southern India. I am the first scientist in the family—perhaps one of the first Tibetan neuroscientists in the exiled Tibetan community! I am working on a cookbook about traditional Tibetan dishes, a cuisine that reflects the lifestyle of Tibetans living at more than 10,000 feet above sea level. For instance, rice is a rare commodity so a dish like dre-si (sweet rice) is served mainly during special occasions like the Tibetan New Year. Tenzin Ngodup, Ph.D., received the Les Paul Foundation Award for Tinnitus Research. We thank the Les Paul Foundation for its support of innovative research that will increase our understanding of the mechanisms, causes, diagnosis, and treatment of tinnitus. Click to download a PDF of Dr. Ngodup's Meet the Researcher profile. Razak received his doctorate in neuroscience at the University of Wyoming and is now an associate professor of psychology and neuroscience at the University of California, Riverside. Razak’s 2018 Emerging Research Grant is generously funded by the General Grand Chapter Royal Arch Masons International. considerable hearing loss. We will measure spectrotemporal processing—the processing of sounds with complex changes in frequency over time, such as speech processing. Understanding how the auditory system processes behaviorally relevant sounds and how such processing changes during development, or as a result of disorders with communication implications, are long-term goals of this project. I hope to contribute new data regarding auditory processing in the aging brain and to determine how hearing loss contributes to aging trajectories. I also hope to develop therapeutic strategies to delay or prevent central auditory processing decline due to presbycusis. Having worked in hearing science since 1996, I’d say a career highlight is receiving the National Science Foundation Career Award in 2013. It considers research as well as research/education integration, and I am passionate about both aspects. I also enjoy taking photos. Thinking about their composition makes me stop and look at a subject from multiple perspectives—I find that it’s not unlike examining research data. Khaleel Razak, Ph.D.’s grant is generously funded by the General Grand Chapter Royal Arch Masons International. HHF thanks the Royal Arch Masons for their ongoing commitment to research in the area of central auditory processing disorders (CAPD). Click to download a PDF of Dr. Razak's Meet the Researcher profile. Reuterskiöld received her doctorate in medical science from Lund University, Sweden. Also a speech-language pathologist, she is an associate professor and the chair of the department of communicative sciences and disorders at New York University. Reuterskiöld’s 2017 Emerging Research Grant is generously funded by the General Grand Chapter Royal Arch Masons International. Successful literacy is critical for a child’s development. I am fascinated by the development of language and communication skills in children and how some of the oral language skills are linked to later literacy learning. Decoding written words is mostly dependent on the child’s processing of speech sounds, requiring a certain level of awareness of speech sounds and words. If the benefits of early cochlear implantation support the development of central auditory processing skills and phonological awareness, children with cochlear implants (CIs) would be expected to acquire phonological awareness skills comparable to children with typical hearing. However, past research has generated conflicting results, which my project will attempt to remedy through investigating rhyme recognition skills and vocabulary acquisition in children who received CIs early in life. We hope to shed light on the importance of auditory processing during a child’s first years of life for developing strong literacy skills. I grew up in Sweden, learning several languages, and I have always been intrigued by how language and communication works, how languages differ, and how children learn to become proficient in their native language in a few years after birth. My Master’s thesis at Boston University was on the topic of auditory comprehension in individual with aphasia (the inability to understand or express language) and whether the emotional content of words facilitate comprehension compared to neutral words; I found a significantly better performance from emotional words. I really liked the research process, continuously asking questions and learning new things. My paper was published in Cortex, and after that I was hooked and wanted to continue doing research. value being able to engage with students at all levels, to watch their excitement about findings from our studies. A novel I wrote is almost finished so I don’t want to say more just yet. We will see if someone wants to publish it—if not, it will be a story for my family! I like to cook and I am an amazing baker. I make better Swedish cinnamon buns than anyone else, if I may say so myself. Christina Reuterskiöld, Ph.D.’s grant is generously funded by the General Grand Chapter Royal Arch Masons International. We want to thank the Royal Arch Masons for their ongoing commitment to research in the area of central auditory processing disorders. Click to download a PDF of Dr. Reuterskiöld's Meet the Researcher profile. Resnik received a doctorate in neuroscience from the Weizmann Institute of Science in Israel and is currently a postdoctoral research fellow at Massachusetts Eye and Ear, Harvard Medical School. Resnik’s 2017 Emerging Research Grant is funded by Hyperacusis Research Ltd.
Sensorineural hearing loss due to noise exposure, aging, or certain drugs or diseases reduces the neural activity transmitted from the cochlea to the central auditory system. These types of hearing loss often give rise to hyperacusis, an auditory hypersensitivity disorder in which low-to-moderate-intensity sounds are perceived as intolerably loud or even painful. fix one thing, damages another. sensitivity may reflect an “overcompensation”—that drives the recovery of basic signal representations but also pushes central networks toward unstable states of heightened excitability and gain. We want to better understand the paradoxical role of central auditory system plasticity as both the cause of—and treatment for—the perceptual consequences of hearing loss. To do this we are studying the brain’s compensatory mechanisms, after cochlear damage, that allow for basic sound recovery but also introduce chronic hypersensitivity, such as hyperacusis. Then we need to figure out how to use these mechanisms to our advantage, in order to improve how the brain processes sound after hearing loss. As a child curious about how things work, I remember wondering, Can animals understand speech How do they communicate with one another? Now I wonder, how does the brain modify its own circuits and functions in order to navigate through dynamic environments and evolving sensory needs? By this I mean changes in the environment, like the lack of light or a lot of noise, or changes in the signal, such as talking to someone who has an accent. All of these affect how our brain interprets sound. My audiogram shows typical hearing, but I know I have problems understanding speech in noisy environments, unless the person is standing right next to me. There isn’t yet a test (for humans) to diagnose “hidden hearing loss”—difficulty hearing speech in noise—but I sometimes wonder if it could be that. Spanish is my mother tongue, since I grew up in Argentina. Then I lived and studied in Israel and learned Hebrew, and now I am the U.S. using English. So I speak three different languages, which makes me think about speech sounds, meanings, accents, and tones on a daily basis. Jennifer Resnik, Ph.D.’s grant is funded by Hyperacusis Research Ltd. for her work investigating hyperacusis. We thank Hyperacusis Research for its support of studies examining hyperacusis and other severe forms of loudness intolerance. Roberts received his Ph.D. in cell and molecular biology at the University of Texas at Austin, where he also did postdoctoral work, along with at Oregon Health & Science University. He is now an assistant professor at the Kresge Hearing Research Institute at the University of Michigan. Roberts’ 2017 Emerging Research Grant is generously funded by The Barbara Epstein Foundation Inc. Hearing with two ears, or binaural hearing, is important for our ability to localize sounds and to follow speech in noisy environments. The auditory midbrain is a major site for binaural integration, but the neurons and neural circuits responsible for this integration are largely unknown. My lab works with genetically engineered mice with fluorescent-tagged neurons to understand how neural circuits in the auditory midbrain combine information from the left and right auditory pathways to support binaural hearing. We are also investigating how these circuits can be manipulated to improve binaural hearing for those with hearing loss. with our voices. My interest in figuring out how the brain uses sound localization cues to separate desirable signals from noise is in part motivated by those early experiences. My father worked for IBM, so we were fortunate to have an early PC in our house at a time when very few households had a computer. I spent hours learning to program in BASIC. I still enjoy solving problems by writing programs, which is a skill that has been very helpful in my research. perform patch clamp electrophysiology—a research approach that makes it possible to record and manipulate the electrical activity of individual neurons. I was hooked and spent every moment I could in the lab. tremendous way to interact with nature. 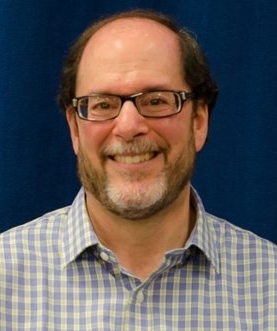 Michael Roberts, Ph.D.’s grant is generously funded by The Barbara Epstein Foundation Inc.
Click to download a PDF of Dr. Roberts's Meet the Researcher profile. Roy received his master’s degree in biosciences from Mangalore University, India, and his doctorate in hearing research and nanoscience from the University of Innsbruck, Austria. He is a research fellow at the National Cancer Institute, National Institutes of Health. Roy’s 2018 Emerging Research Grant was generously supported by HHF’s Board of Directors and donors in support of promising research. Anticancer chemotherapeutics such as cisplatin are a truly effective means of cancer treatment. However, most have numerous toxic complications, with 40 to 80 percent of cancer patients developing permanent hearing loss due to cisplatin exposure. One of the biggest clinically relevant challenges is to remove certain platinum-based drugs from circulation to prevent systemic toxicity. Cisplatin enters the cochlea through blood circulation and gains access to the inner ear sensory hair cells after disrupting the protective blood-labyrinth barrier (BLB), ultimately causing sensory hair cell death. However, the mechanism of the cisplatin-induced systemic toxicity on hair cell death is not completely understood. I proposed that cochlear immunity plays a major role in regulating cisplatin-induced ototoxicity. Studying cochlear immunity in its entirety has been a critical challenge for several decades, due to technical limitations and the cochlea being a difficult organ to access. Expertise I gained in the field of cancer biology and immunology at the National Cancer Institute helped me develop a high-dimensional technique to investigate cochlear immunity and to understand how a complex interaction among millions of immune cells within the cochlea determines the degree of cisplatin-induced ototoxicity. My love for science and seeking goes back to my early childhood. My best afternoons were to use my uncle’s biology dissection box to cut open flowers and leaves (with little awareness of the danger of sharp instruments) and to look at them under the magnifying glass. I also loved to watch my grandfather purify and shape different metals using various chemicals and instruments in order to make jewelry. Running for the truth requires a bit of madness. I was born in India, and when I was about 3 years old, I knew a little about the solar system but could not grasp the scope of its dimensions. I used to ask my mom thousands of questions—which she encouraged—and often she was forced to make up stories to satisfy me. Once, she told me that when the sun disappears, it hides in the ocean behind the tree line, just over the horizon. So naturally one evening I tried to find the sun. I walked and ran for nearly 30 minutes before the sun disappeared. Eventually, I returned home, disappointed, and my mom along with other neighbors, though anxious, understood. True, some thought it an act of stupidity, but for me the process of seeking was pure joy. Another reason for loving science is to interact with new people, visit new places, and collaborate in the lab to solve a clinical problem together. So far I have traveled to 18 countries and look forward to more visits and fruitful collaborations. I love to cook, and it gives me endless energy. During school vacations, I volunteered at a nonprofit kitchen where we cooked for more than 50,000 people on some occasions and worked more than 18 hours a day. More recently I cooked 10 intricate courses for 100 friends and family. Moving forward, I will focus on the role of gut microbiota and drug toxicity. Recently it was discovered that gut microbiota regulates cisplatin’s antitumor efficacy. However, its role in cisplatin-induced toxicity is not known. My current research indicates that our own naturally occurring gut microbiota modulates cisplatin-induced toxicity. This holds tremendous translational possibility for reducing ototoxicity and enhancing the quality of life for cancer patients. Soumen Roy, Ph.D.’s grant is generously supported by the HHF Board of Directors as well as donors who designated their gifts to fund the most promising hearing research. Click to download a PDF of Dr. Roy's Meet the Researcher profile. Sheth received his Ph.D. in pharmacology at Southern Illinois University School of Medicine, where he is now a postdoctoral fellow. Sheth’s 2017 Emerging Research Grant was funded by a generous family foundation with an interest in funding strial atrophy research. Cisplatin is a widely used chemotherapy treatment for various solid tumors. Unfortunately, its use sometimes results in permanent hearing loss. Understanding cisplatin ototoxicity (toxicity to the ear) is crucial for the development of novel treatments to combat this serious side effect. My lab examines the molecular mechanisms that are responsible for cisplatin ototoxicity, which appears to be caused by the imbalance of ions in the cochlear fluid. Our studies found that the ionic imbalance caused by cisplatin may be due to the reduction in the activity of an enzyme regulating sodium and potassium balance that is present in the stria vascularis, an important tissue in the inner ear. However, this suppressive effect by cisplatin may be restored through epigallocatechin gallate (EGCG), a substance present in green tea that has antioxidant and anti-inflammatory properties. This project aims to investigate the potential of EGCG to prevent or cure hearing loss in cancer patients who are treated with cisplatin. The seeds of my career in research were sown when, as a child, I used to spend evenings in my uncle’s drugstore wondering how different drugs cured diseases in patients. Years later as an undergrad, I used a device called a kymograph to test and record the effects of different drugs on the heart rate and force of contraction on an isolated frog heart. I became genuinely interested in the mechanism of action of different drugs—why does one drug increase the heart rate and force of contraction, and another drug does exactly the opposite? If I hadn’t become a researcher I would be running my dad’s garment business in India. My uncle also lives in India and is suffering from noise-induced hearing loss. He blames the extremely noisy traffic on the congested streets of Mumbai as the main cause. In my free time I like to solve Sudoku puzzles, listen to Indian music, and binge-watch my favorite shows on Netflix or HBO. I enjoy spending time with my wife by hiking, visiting the farmers market, and occasionally checking out neighborhood garage sales with her. One of my goals in life is to learn to play at least one musical instrument, so I am learning to play the guitar. Most of the people I know would be surprised to know that I was an average student in school but did very well in sports and cultural activities like singing and dancing. I have several medals to show for it! Sandeep Sheth, Ph.D.’s grant was funded by a generous family foundation with an interest in funding strial atrophy research. Click to download a PDF of Dr. Sheth's Meet the Researcher profile. 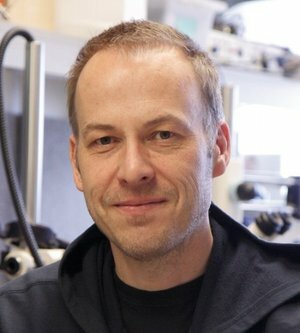 Swinburne received his Ph.D. in cell biology from Harvard Medical School, where he now conducts research on systems biology of the inner ear. A 2013 Emerging Research Grants scientist, Swinburne is a 2017 Ménière’s Disease Grants researcher during its inaugural year. The tissue of the inner ear is not just a static barrier. It contains the endolymphatic sac, which acts like a relief valve to control inner ear pressure and fluid. My goal for this project is to understand the working origins of the valve’s structure and activity. My discovery of the relief valve activity came about through the convergence of three events: a chance recommendation from a British professor to look for the endolymphatic sac; my recovery and study of a previously isolated mutant gene that causes the valve to malfunction, taken from sperm stored in a freezer in Oregon for a decade; and my adaptation of a poison from an Asian snake for imaging the zebrafish, which allows healthy ear physiology to persist while immobilized under a microscope. It was the use of snake poison that led to my first observation of the valve activity. Puzzles and mysteries have always interested me. In grade school through college, I liked math, chemistry, and physics, probably because their solutions are more forthcoming when compared with biology. But my interest in biology took off as an undergrad, when I worked with my dad’s colleagues in a hospital in Rochester, New York, for two summers. In the infectious diseases lab I became excited about experiments: designing, performing, and troubleshooting them. I realized there was a lot of room for creative solutions in biological research. After graduate school, I took an embryology course in Woods Hole, Massachusetts, on Cape Cod, observing and experimenting with a wide variety of organisms: sea urchins, squids, frogs, worms, chickens, flies, and zebrafish. I became interested in how the shapes of organs arise during development and how these structures work for healthy physiology. This eventually led to exploring the relationship between structure and function in the ear. A curiosity about nature came from playing outdoors and hiking with my family as a child. One activity I loved was waterworks: building canals and aqueducts out of sand or dirt and then pouring water through them just to watch it flow. Now I recognize an echo of that play in my study of water pressure and flow within the ear. 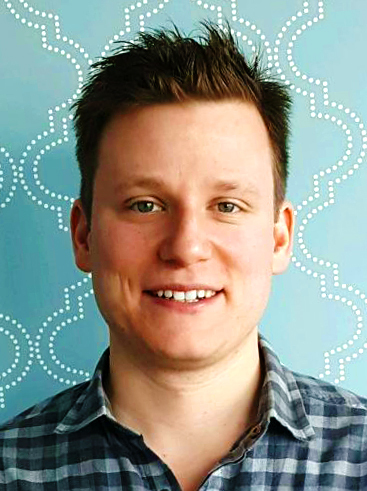 Ian Swinburne, Ph.D., is funded through Ménière’s Disease Grants (MDG). Launched in 2017, Hearing Health Foundation’s MDG program supports research focused on advancing our understanding of the inner ear and balance disorder. Click to download a PDF of Dr. Swinburne's Meet the Researcher profile. 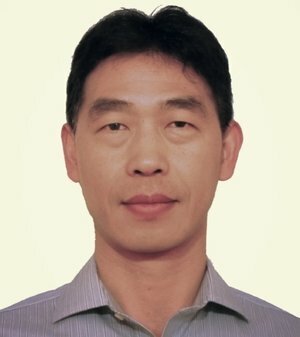 Tan received his Ph.D. in biomedical sciences from Creighton University in Nebraska and completed postdoctoral research at the University of Wisconsin–Madison and Northwestern University, Illinois, where he is currently a research assistant professor in the department of otolaryngology–head and neck surgery. Tan’s 2017 Emerging Research Grant is generously supported by HHF’s Board of Directors as well as supporters who designated their gifts to fund the most promising hearing research. and normal tissue protection, I immediately saw that honokiol could be a promising candidate for hearing protection. For instance, we know that cisplatin, a common chemotherapy drug, increases oxidative stress, causing the loss of auditory sensory hair cells and resulting in hearing loss. But other drugs that relieve this adverse effect also compromise the antitumor effect of cisplatin. Honokiol, by contrast, has been shown to both suppress tumor growth while protecting normal tissue and cells from oxidative stress by improving mitochondrial function. Since the auditory outer hair cells are extremely vulnerable to oxidative stress, it is expected that honokiol can protect against cisplatin-induced hearing loss, and it may also prove beneficial to fight noise-induced and age-related hearing loss. After conducting several promising pilot studies, I have begun the process of verifying and understanding how honokiol protects hearing during chemotherapy. The long-term goal is to develop a new therapeutic regimen for chemotherapy that reduces tumors but protects hearing, thus improving the quality of life after treatment. I grew up in a family that values knowledge, science, and technology. My grandfather had severe hearing loss due to exposure to loud noises without having hearing protection. Although he has passed away, I hope my study can help people like him in the future. My aim is to further our understanding of hearing loss and protection through describing the working mechanisms, application, and limitations of honokiol. I am hopeful that a healthcare product for hearing loss based on the hearing protective effect of honokiol will be able to be launched in the market, for drug-induced as well as noise-induced and age-related hearing loss, and that I will be able to see the positive influence of this study on hearing health for cancer patients and older adults as well as the general population. Xiaodong Tan, Ph.D.’s grant was generously supported by HHF’s Board of Directors as well as supporters who designated their gifts to fund the most promising hearing research. Click to download a PDF of Dr. Tan's Meet the Researcher profile. Toscano received his doctorate in cognitive psychology from the University of Iowa, and was a postdoctoral fellow at the Beckman Institute for Advanced Science and Technology, the University of Illinois Urbana-Champaign. He is an assistant professor of psychological and brain sciences at Pennsylvania’s Villanova University, where he directs the Word Recognition and Auditory Perception Lab. Toscano’s 2018 Emerging Research Grant is generously funded by the General Grand Chapter Royal Arch Masons International. Accurate speech recognition depends on fine-grained acoustic cues in the speech signal. Deficits in how these cues are processed may be informative for detecting hearing loss, and particularly for identifying auditory neuropathy, a problem with how the brain processes sounds. My project uses electroencephalogram (EEG) techniques to measure brain responses to specific acoustic cues in speech. They will be compared with listeners’ speech recognition accuracy, pure-tone audiograms, and self-reported hearing difficulty to determine how they vary as a function of hearing status. The goal is to develop a clinical test for early identification of auditory neuropathy and “hidden” hearing loss, difficult to detect using current testing methods, in both adults and children. I was the first in my family to graduate from college and pursue a Ph.D. My high school earth sciences and astronomy teacher, Tom Lewis, gave lots of encouragement (I wanted to be an astronaut or astronomer). While an undergrad at the University of Rochester, I worked in the psycholinguistics lab and have been investigating speech perception and language processing ever since. Incidentally, my sister is a speech-language pathologist and my wife is also a cognitive scientist who studies speech perception, so this may be the “family business” now! In the future I hope there will be a tighter integration between work on hearing loss and work on psycholinguistics and speech perception. There is progress that can be made in each of these areas by taking an interdisciplinary approach to addressing big-picture questions. We have three young children ages 4 and younger, and I spend most of my free time with them—does that count as a hobby? My wife and I often talk about language development, and it’s been fun watching them learn language. It gives me some insights into my own research as well. Joseph Toscano, Ph.D.’s grant is generously funded by the General Grand Chapter Royal Arch Masons International. We want to thank the Royal Arch Masons for their ongoing commitment to research in the area of central auditory processing disorder (CAPD). Click to download a PDF of Dr. Toscano's Meet the Researcher profile. Vazifehkhahghaffari received a master’s degree in electrical engineering from the Sharif Institute of Technology, Iran, and a doctorate in computational neuroscience from Universiti Teknologi Malaysia. He is a postdoctoral research associate in the department of otolaryngology at Washington University in St. Louis. Vazifehkhahghaffari’s 2018 Emerging Research Grant is generously funded by The Children’s Hearing Institute. While the cochlear implant (CI) allows access to sound for those with severe hearing loss, perceiving pitch and music and understanding speech in the presence of reverberation, multiple speakers, or background noise remains very limited. To improve the CI, it is important to understand how the implant affects neuronal (nerve cell) behavior in the inner ear by uncovering the properties of neuronal excitability. Neuronal excitability mainly depends on the movement of different ions through the cell membrane and is affected by components such as ionic currents and ion channels. A more precise model of the auditory nerve combined with models of the CI electric field potential will help improve CI stimulation methods by understanding stimulus-response phenomena and their underlying biophysical mechanisms. An improved model will also help us better understand hearing loss mechanisms by detailing the anatomy and electrophysiology of inner ear sensory hair cells. Although I started auditory research just a short time ago, I have extensive experience modeling neurodegenerative diseases such as Alzheimer’s and epilepsy. A “wow” moment for me was when I learned that another lab confirmed, via experimentation, my theoretical model of epilepsy, which had been derived from basic research. It convinced me of the importance of multidisciplinary research—models as well as experiments—to understand the mechanisms of neurological diseases. interest in modeling the behavior of nature. I was born in Iran and worked in several countries including Russia and Malaysia. My long family name is actually two parts, but for some reason they were put together in my passport. I often abbreviate it as V-Ghaffari. Babak Vazifehkhahghaffari, Ph.D.’s grant is funded by HHF partner The Children’s Hearing Institute (CHI). We thank CHI for its generous support of innovative research focused on congenital and acquired childhood hearing loss and its causes, assessment, diagnosis, and treatment. Click to download a PDF of Dr. Vazifehkhahghaffari's Meet the Researcher profile. Vélez-Ortega received a master’s in biology from the University of Antioquia, Colombia, and a doctorate in physiology from the University of Kentucky, where she completed postdoctoral training and is now an assistant professor in the department of physiology. Vélez-Ortega’s 2018 Emerging Research Grant was generously funded by Cochlear Americas. an astronomy class at home with a flashlight, globe, and ball when I asked, “Why does the moon change shape?” My father’s excitement kept my curiosity from fading as I grew older. That eager-to-learn personality now drives my career in science and teaching. A. Catalina Vélez-Ortega, Ph.D.’s grant was generously funded by Cochlear Americas. We thank the cochlear implant manufacturer for supporting innovative research investigating noise-induced hearing loss and are grateful for its support of our work. Click to download a PDF of Dr. Vélez-Ortega's Meet the Researcher profile. Vincent received his doctorate in cell biology and physiopathology from the University of Bordeaux, France. He is a postdoctoral fellow in the department of otolaryngology–head and neck surgery at Johns Hopkins School of Medicine in Baltimore. Vincent’s 2018 Emerging Research Grant was funded by Hearing Health Foundation, as directed by the Council of Scientific Trustees. Sensory hair cells in the inner ear pick up the sound signal and transmit it to auditory nerve fibers through chemical synapses. They do this by releasing the transmitter glutamate; auditory nerve fibers then transmit the sound- coding signal to the brain. Sound intensity is encoded by the amount of glutamate released by the hair cell. However, as a result of noise exposure, auditory nerve fiber endings can be damaged, most likely due to an excessive influx of calcium. This phenomenon is called excitotoxicity, but it is not completely understood. I will investigate the molecular mechanisms of synaptic transmissions between hair cells and auditory nerve fibers by testing how they are affected after noise trauma. After reading several papers on noise-induced hearing loss and hair cell/nerve fiber regeneration, I saw many researchers are focused on how to restore hearing function. But I decided to work on finding tools to prevent nerve death from noise or aging through examining how calcium ions enter auditory nerve fibers. I decided to become an electrophysiologist because I liked the challenge of the patch-clamp technique, especially when studying the organ of Corti. There the nerve fibers are extraordinarily small compared with neurons in the central nervous system. I dedicated my Ph.D. thesis to my wife, a nurse, for her support. Three years of work resulted in four first-author publications and one coauthored paper. I’m proud that this research contributed to the knowledge of molecular mechanisms underlying synaptic transmissions between hair cells and spiral ganglion neurons, leading me now to examine the role of calcium ions in more detail. I believe hearing loss is an underestimated public health issue, so my ultimate goal is to develop protective therapies. I enjoy making scale models. I can spend all day assembling and painting the different parts. Patience in both electrophysiology and making models is paramount. I just completed the Air France Airbus A380 (scale 1:125). Given its size (roughly two feet long and wide), assembling and painting were pretty challenging. Philippe Vincent, Ph.D.’s grant was funded by Hearing Health Foundation, as directed by the Council of Scientific Trustees. Click to download a PDF of Dr. Vincent's Meet the Researcher profile.